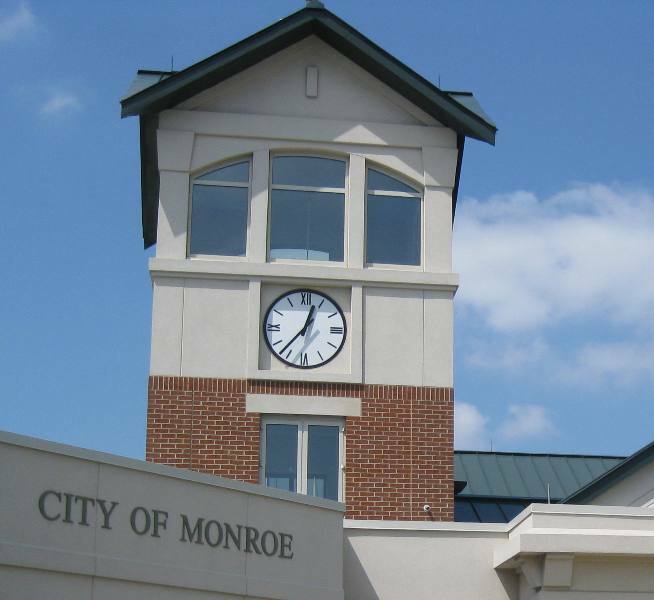 The Leaky Clock Tower of the Monroe Urban Center again on Council's Agenda. 07-2011 is regarding repairs to the leaky clock tower, tabled since January 25 of this year. The first estimate for repairs was $204K. Councilwoman Suzi Rubin commented that she could build a whole house for that price. There is still a question about insurance, liabilities, etc. 44-2011. A Resolution authorizing the City Manager to request the Director of Transportation to proceed with the Gateway Landscaping Project. There are three options, each option makes the landscaping more beautiful. The first option will cost the city $166K. Option two will cost the city $290K and includes lighting and upgraded landscaping. The third option puts in an irrigation system and includes both option 2 and 1 features. The third option will cost the city $488K. Council will be voting for a second time on 44-2011. 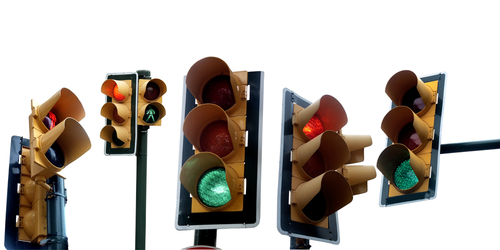 A Stoplight Inter-Connect Project planned for Monroe, Ohio along St Rout 63. 45-2011. A Resolution granting consent to and cooperating with the Director of the Ohio Department of Transportation to complete the State Route 63 Signal Inter-connect Project. Monroe received over $1 Million on this project in Federal Congestion Management/Air Quality Funds through OKI. The agreement will allow for ODOT to begin their process of review and scheduling of the project timeline. CDS associates is currently working on plans for the project, which will allow for connection of the signals along SR63 so that they can work together. The project will also connect city facilities at Holman, Union Road, East Avenue and Main Street together with fiber optics and allow for the City to own additional dark fiber which can be used as an economic develop or revenue generating tool. The City’s required match to the project is 20%, which is currently projected to be paid out of TIF revenue. This is scheduled to be a FY 2013 project. ODOT to begin their process of review and scheduling of the project timeline. paid out of TIF revenue. This is scheduled to be a FY 2013 project. There are 4 Emergency Resolutions on the agenda. The first is certifying tax levies to Butler County. Mrs. Waggaman has reviewed the amounts and rates and indicates acceptance for passage. The second emergency is reconstruction, widening, drainage improvement, and sanitary sewer improvements to Todhunter Road. Read more in the June Public Works Minutes. The third emergency is for "special assessments for constructing certain improvements." According to Mr. Brock, Each year we have to certify the annual assessment amount on the Corridor 75 Park Development Project because it changes based on actual revenues collected and future debt service requirements. The assessment amount for tax year 2011/collection year 2012 determined by Argus is $639,865. Assessment per acre is $1,625.24 ($639,865/393.704 acres). There is one other piece of legislation on the agenda. It is Resolution 47-2011, Director of Finance Waggaman is proposing a contract with RBC, Inc for collections services on Monroe EMS Billing. Minutes of July 26, 2011 and August 26, 2011. Transportation to proceed with the Gateway Landscaping Project. them to the County Auditor, and declaring an emergency. by and between the City of Monroe and RBC Inc. for collection services. levied for the purpose of constructing certain improvements and declaring an emergency.